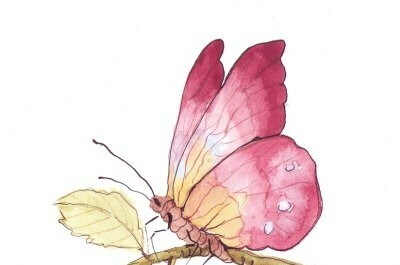 The Pink Butterfly Project | Educate. Empower. Evolve. What is the meaning behind The Pink Butterfly Project? Pink has always been one of my favorite colors. It’s a feminine color. It’s cute. It’s calming. I have always been drawn to this color. Butterflies are a symbol of new beginnings and transformation. As I am going through this transformation and learning many things, I have come to learn that pink is an underlying color associated with the heart chakra. The heart chakra is considered the love center where love, compassion, generosity and forgiveness reside. Love has many forms: unrequited, unconditional, romantic, platonic and self-love. Love is a subject that I am trying to become more educated on. I have come to understand that I lack self-love, which in turn affects my ability to truly experience any other form of love. Although I am married with three daughters, I struggle greatly with this subject. Don’t get me wrong, I love my daughters unconditionally. I just don’t think that I am capable of demonstrating that unconditional love in a healthy way. Do I love my husband? I think I do, but because there is a lack of self-love on my part it makes very difficult. There is an emptiness that resides in me that I am longing to full. For many years I relied on my husband to fill that void. I made him responsible for my happiness. Today, I realize that the search for happiness begins and ends with ME! I am responsible for my happiness. I need to balance my chakra and travel the road that leads to forgiveness and compassion, so that I can put the past behind me and move forward with a life abundant with love and happiness. I am ready! I am willing! I want to experience all of the joy that life has to offer. As I use this time to learn more about my chakras, yoga, meditation and energy, I see myself in a cocoon. At this end of this journey, I will emerge a butterfly and I will do my best to educate you all so that you may be empowered with the tools necessary to evolve into a beautiful butterfly as well.